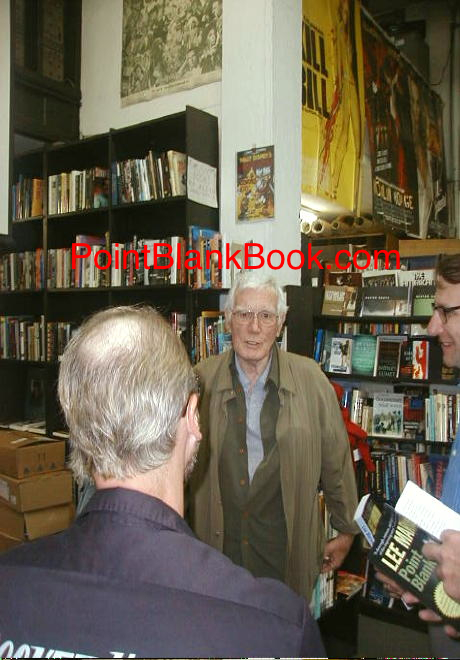 Mitchell Ryan at Larry Edmunds Bookstore: For those poor unfortunate souls who missed last night’s book signing, here’s a bit of rundown of what transpired…..
First, I said a few words about why I wrote Lee Marvin Point Blank…. 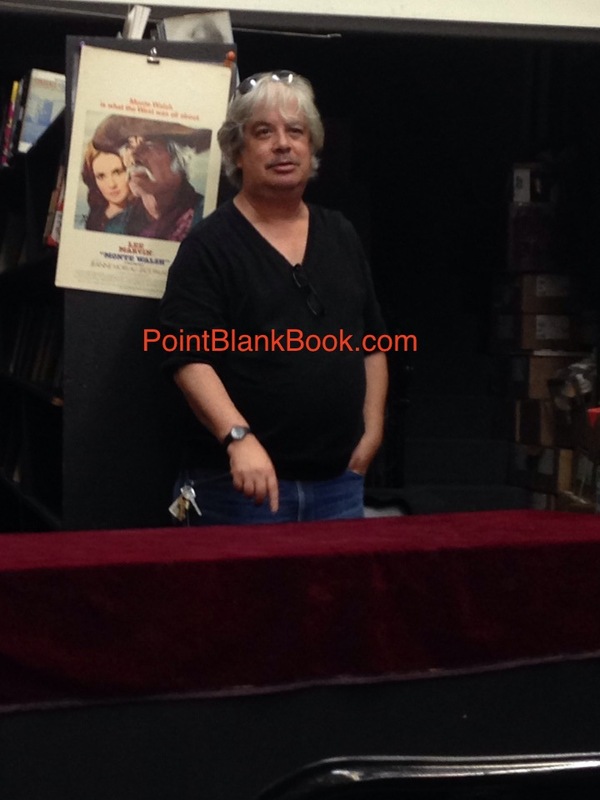 Then, owner Jeff Mantor played a DVD that I brought of some Lee Marvin rarities. 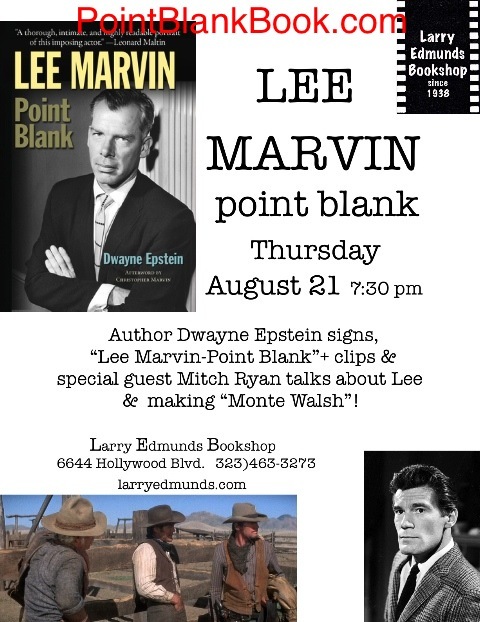 It included trailers, ‘Making of’ shorts of some of his films, a cigarette commerical he did for M Squad, and even a clip of him backstage after winning the Oscar…..
Then, we introduced a special guest, Lee’s Monte Walsh co-star and personal friend, acting great Mitch Ryan, who regaled those gathered with some great anecdotes and observations…. This is what consider to be the really cool part. Several of those in the audience who joined us posed for a group shot…. 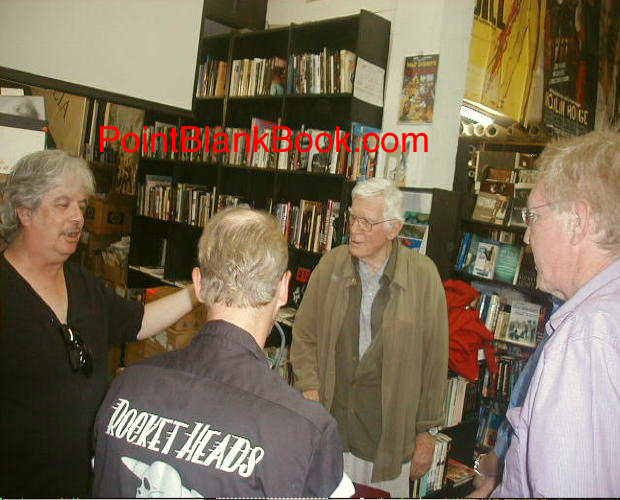 Starting from the left: John Gloske, author of a great bio on the unsung actor Frankie Darro. 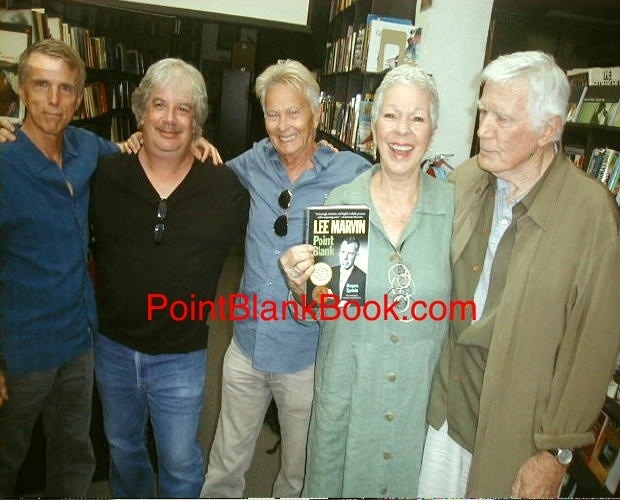 John was a great help to me putting together my bio on Lee as he was great friends with several of Lee’s costars. Next to him is yours truly followed by actor Ron Thompson. Does he look familiar? Ron was the star of one of my all time favorite films: Ralph Bakshi’s American Pop. He played both Tony & Pete in the cult animation classic. 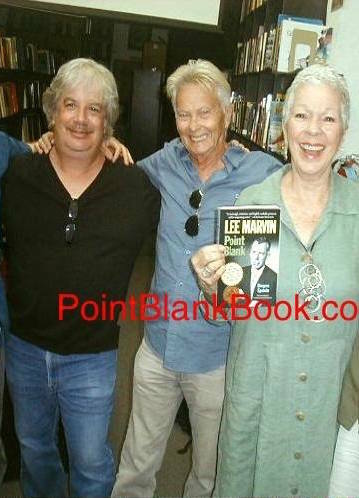 Next to Ron is Claudette Sutherland, veteran actress, personal manager, and friend of Mitch Ryan. 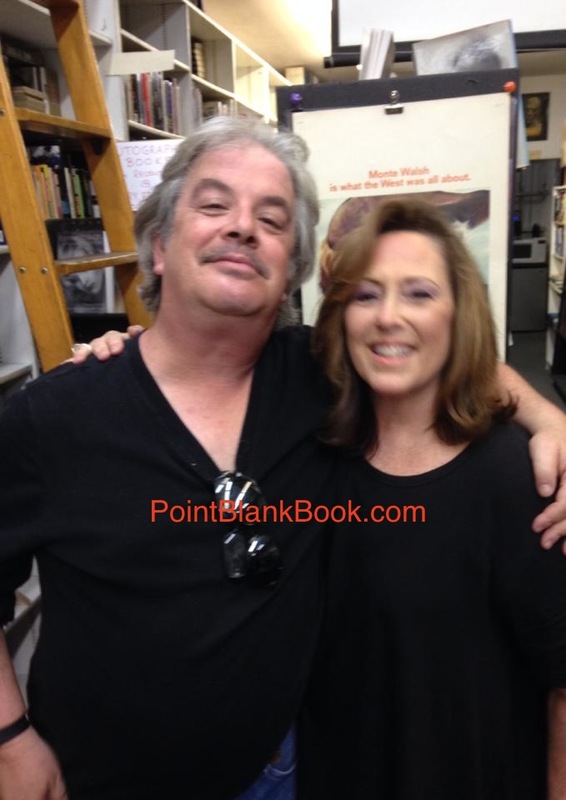 Ron and Claudette were both there by chance, had not seen each other in years, and actually were in high school together! How’s that for cool? 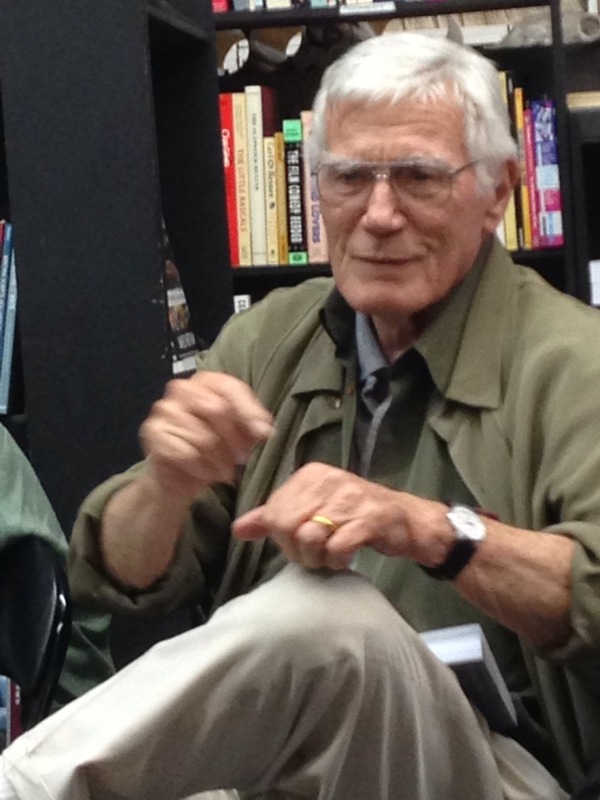 And of course, on the right, the great Mitch Ryan! 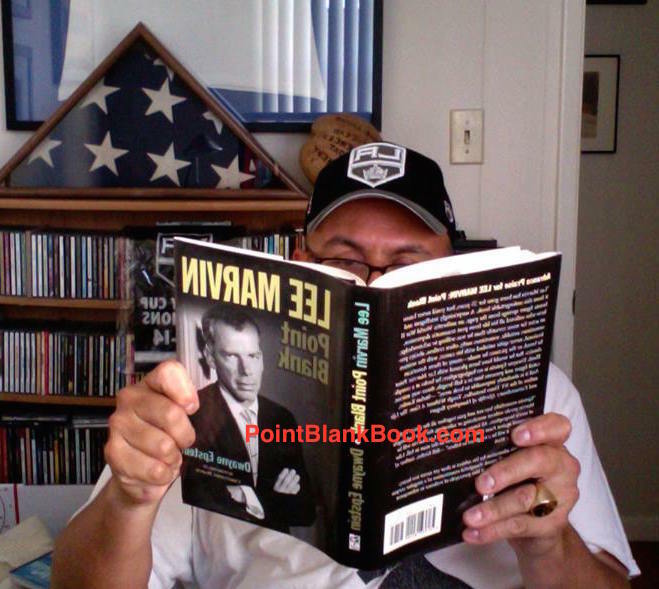 Owner Jeff Mantor, with his back to the camera, made sure there were enough copies of books to go around, be sold, and signed by the author, as well as the extra treat of having it signed by Mr. Ryan…. Also in attendance were several other notables, such as…. 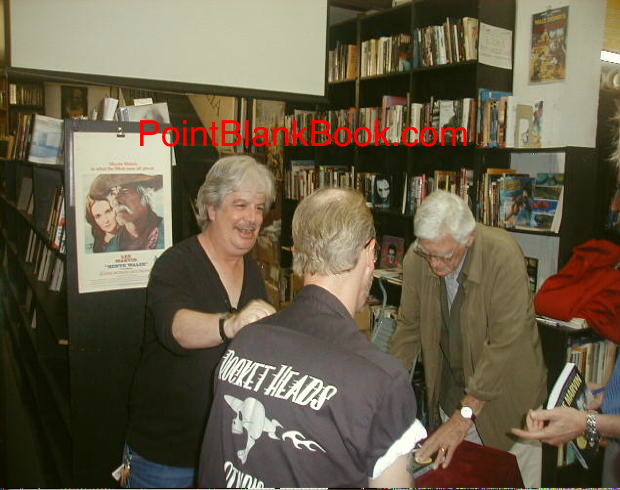 Film producer, Chris Chesser (Major League, Kansas), pictured in profile on the far right. 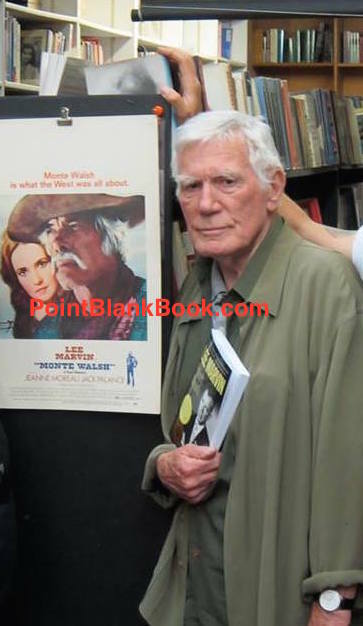 He told of growing up in Arizona and being amazed at the filming of Monte Walsh. Also present, good friend and fellow biographer Jim Gladstone, author of a great book on lawyer Greg Bautzer entitled The Man Who Seduced Hollywood. 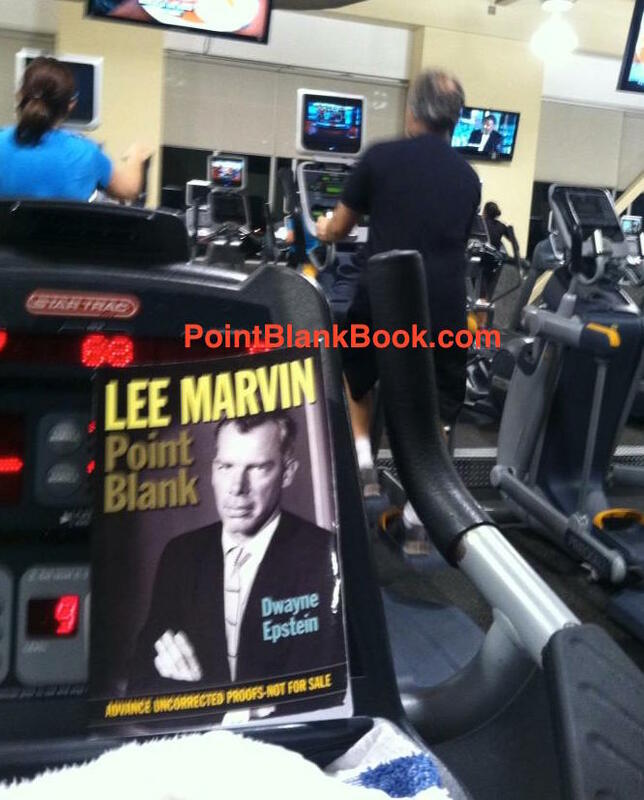 It’s a great read by the way and it is HIGHLY recommended! 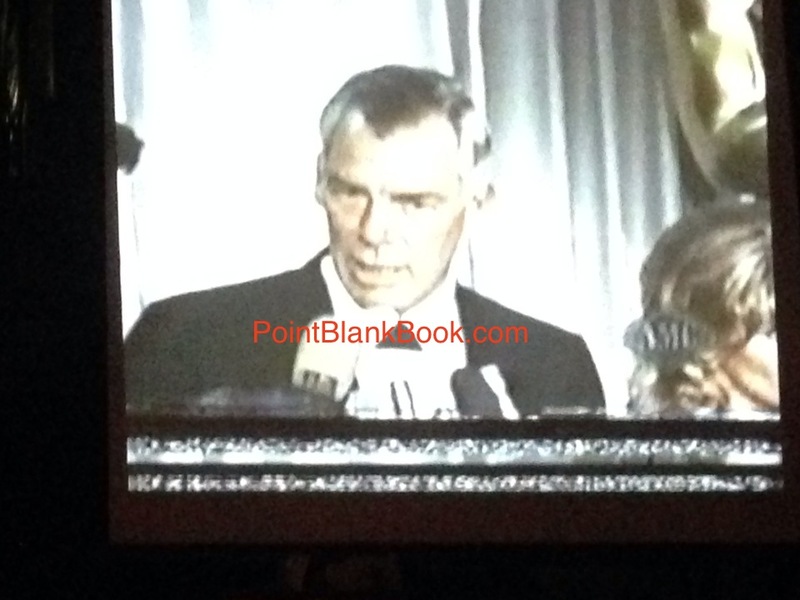 That’s Jim barely visble on the far right…. And for me the best part of all? My lovely girlfriend Barbara, who’s birthday is this weekend, got to have dinner with and spend the night with a genuine movie star. 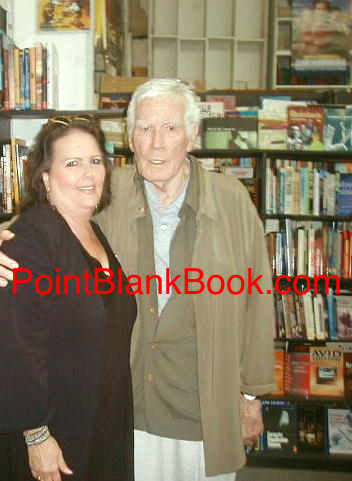 Barbara had me take her picture with her childhood crush Mitch Ryan. For those who may not remember, Ryan played Burke Devlin on Dark Shadows. Two seconds after I snapped this pic, Ryan kissed her cheek. Now THAT’s a birthday present!